1. The U.S. State Department has determined - and has reported to Congress - that Egypt has demonstrated a persistent failure to work with the U.S. Central Authority to resolve cases of international parental child abduction. 2. The Superior Court of Washington for King County ruled in 2015 - based on the expert evidence of international family lawyer Jeremy D. Morley and another expert - that there is "clear and convincing evidence that Egyptian child custody laws violate fundamental principles of human rights." Therefore, Washington State should not treat Egypt as a "state" for purposes of the Uniform Child Custody & Jurisdiction Act. 3. The Washington court found, inter alia, that Egyptian family courts apply specific Sharia law rules to child custody cases, under which a Muslim mother is disqualified from custody if she does not raise the child as a Muslim and / or if she does not comply with Muslim religious requirements or if she remarries or moves away from the father's domicile. 4. It also found that Sharia child custody law in Egypt does not adequately take into account acts of domestic violence perpetrated by the husband against his wife and that a husband is entitled there to use physical force against a "disobedient" wife. For this reason the Washington court found that the Egyptian courts had no child custody jurisdiction, even though the parties and their son had lived in Egypt at all relevant times until the mother, without the husband's consent, left for the United States with the child, and even though the husband filed a case for custody in Egypt within six months thereafter. 5. 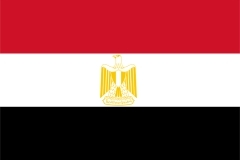 Egypt has not signed Hague Convention on the Civil Aspects of International Child Abduction. 6. The removal of a child by the non-custodial parent to or within Egypt is not a crime in Egypt unless the child is subject to Egyptian court-ordered travel restrictions. 7. A left-behind parent must work within the Egyptian court system in order to obtain legal custody of the child in Egypt. 8. Egyptian mothers of children born to a non-Egyptian father may request an Egyptian passport for the child from any Egyptian consulate. 9. Foreign custody orders are not generally recognized in Egypt, and will not be given any weight unless they are in compliance with Sharia law. 11. Egyptian law contains no provision for equal shared parental responsibility. 12. While father’s automatically have guardianship rights, those rights are curtailed substantially as compared to other Islamic countries. 13. The provisions of the Personal Status Law apply likewise to Christians in Egypt as to Muslims. 14. If the mother loses her presumptive custody the courts recognize an order of preference of alternate adult custodians with priority given to the mother's family in the following order: maternal grandmother or great-grandmother; paternal grandmother or great-grandmother; maternal aunt; paternal aunt; maternal niece; paternal niece. Only if these relatives do not exist, will the right of custody shift to a male. 16. In 2003, the U.S. and Egypt signed a Memorandum of Understanding that purportedly confirms both countries' commitment to facilitating parental access to children in the other country. A similar memorandum was signed between Egypt and Australia. However the Memoranda do not address international child abduction, have no teeth and are relatively meaningless. 17. In May 2015, the U.S. Embassy in Cairo delivered a demarche to the Egyptian government "noting the country's citation in the 2015 Annual Report on International Parental Child Abduction as demonstrating patterns of noncompliance." The Embassy had previously delivered a similar demarche to the Egyptian Government in 2014.